Comments: Has large, showy, pink flowers with carmine stripes in April and May. Grows best in sun, but flowers hold up better in part shade. 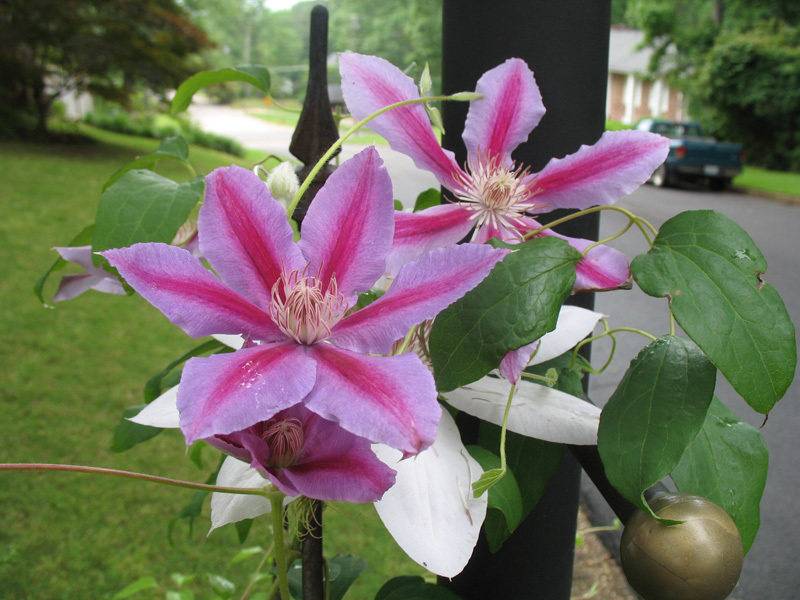 This and most other clematis perform well when their roots are in shade, in loose, organic, mosit soil.